Most of the websites over the web these days supporting user accounts are providing their customers with the option to login using their user profiles in the major Social Networks such as Facebook for example. This option is called Facebook login and basically it does exactly as the name suggest. In this tutorial we will discuss how you should enable this feature on your Social Community and provide your customers with a secure way to login into your social network using their own Facebook accounts. Since the Facebook Login is provided by the Facebook Connect module you will need to know how to enable modules in Boonex Dolphin. If you are not quite sure how to install a module on your Social Community please read our tutorial on the matter. First you will need to access the facebook page for developers.There you should use the button Create New App in order to create a new Facebook app. Once you click on that button you will be prompted with the interface for creating a new app. There you will need to fill the display name which should be the domain for your website and the namespace which is optional. Once this is done you will be presented with the Dashboard for your new Facebook application. There you will need to copy the App ID and the App Secret codes as you will need those for configuring your Facebook Connect module. Once you install the module via your Administration area >Modules>Add & Manage you will be able to see the module listed in your Administration area>Modules. 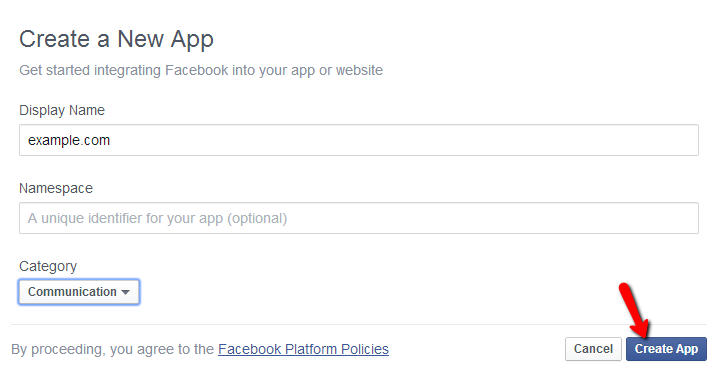 This link will lead you to the administration page for the module where you will need to fill the Facebook API key with your APP ID (copied from the Dashboard of your Facebook application) and the Facebook App Secret with your App Secret (copied from the Dashboard of your Facebook application) . Then you should set the “Redirect Page After First Sign In” to the page you would like the user redirected once he/she login using the Facebook connect feature and last but not least use the Save button so the changes can be saved. 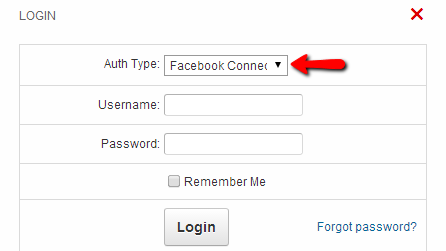 The Facebook login will be available from the Auth Type drop-down menu located in the Login form of your website. Congratulations! You can now take full advantage of this great feature!